Kindergartners worked with Model magic to create their critters. 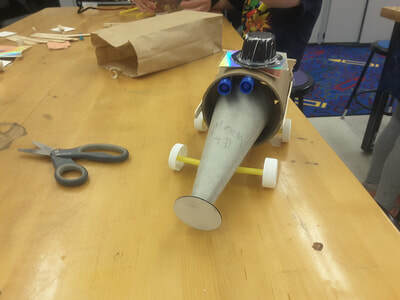 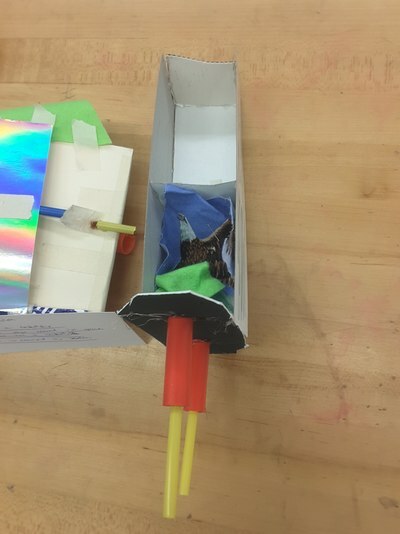 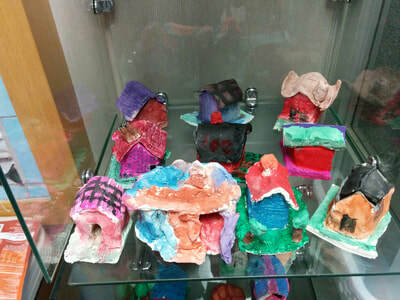 They were invited to bring their critters home after they completed all of the steps: Design the critter, practice with play-dough, then build their critter out of a new media in 3D, design a habitat and paint their critters. Some of the learners built multiple habitats to take home for their other toys. 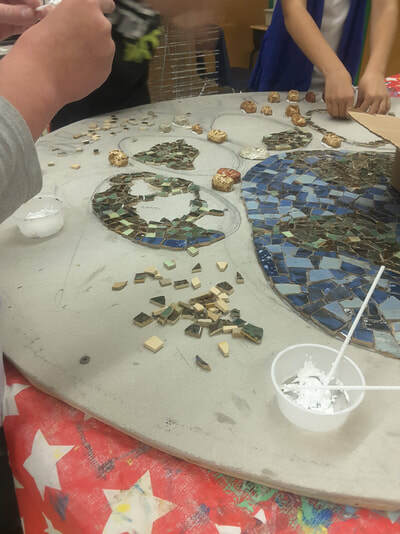 First Grade learners were daring in their expectations of clay, they pushed the limits of height and tinsel strength with their designs. 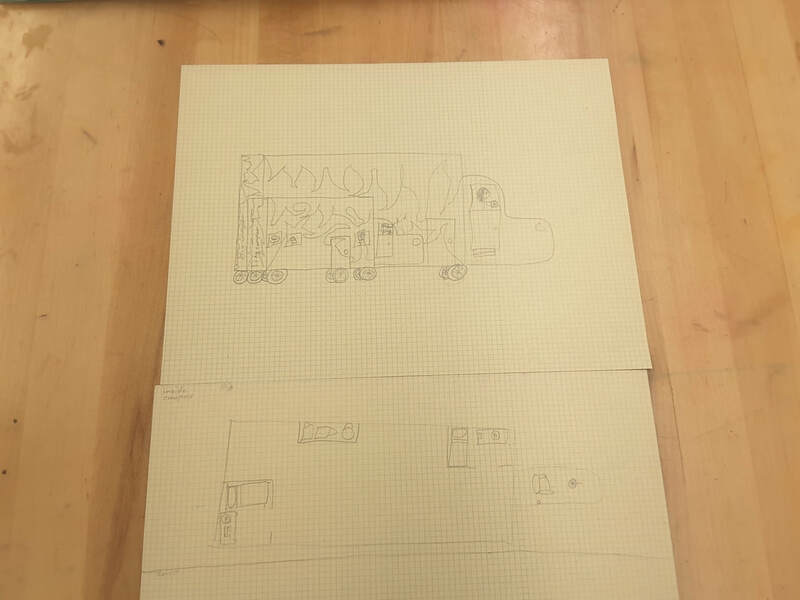 Just like 2nd grader and Kindergartners they designed their critter first by drawing, then they were asked to practice making their critter from their picture with play dough. 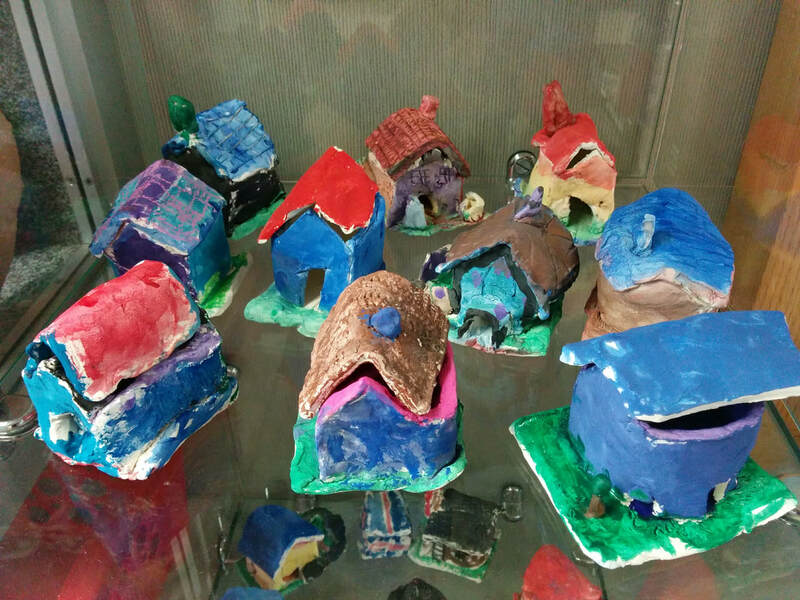 Once they felt comfortable making a 2D image into a 3D object we moved on to clay. 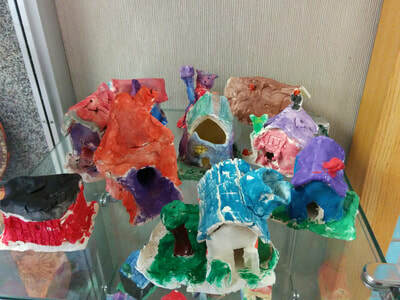 We learned about "scratch and attach" and how delicate fired clay can be. 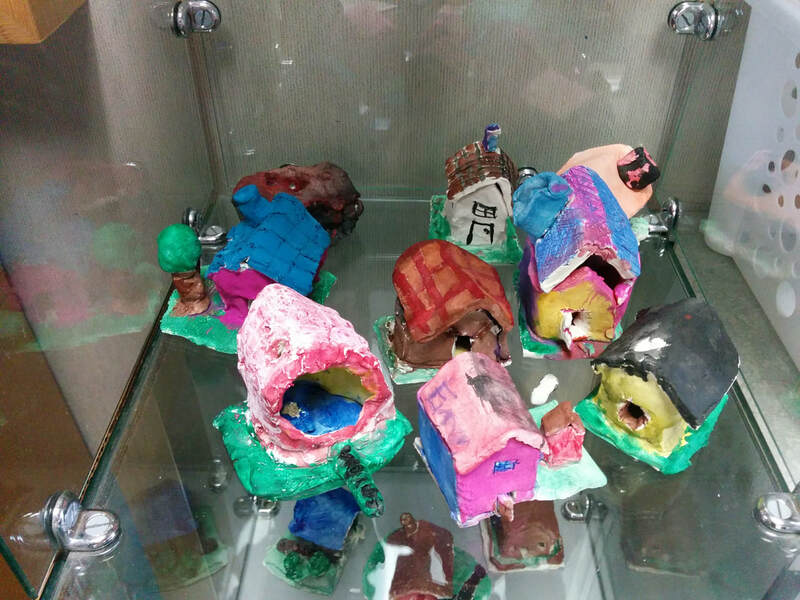 2nd grader habitats and critters can be seen on display in the library until January 2018. 2nd grade learners created their critters with earth clay, they then fired the clay, built their habitat, and painted their critters. 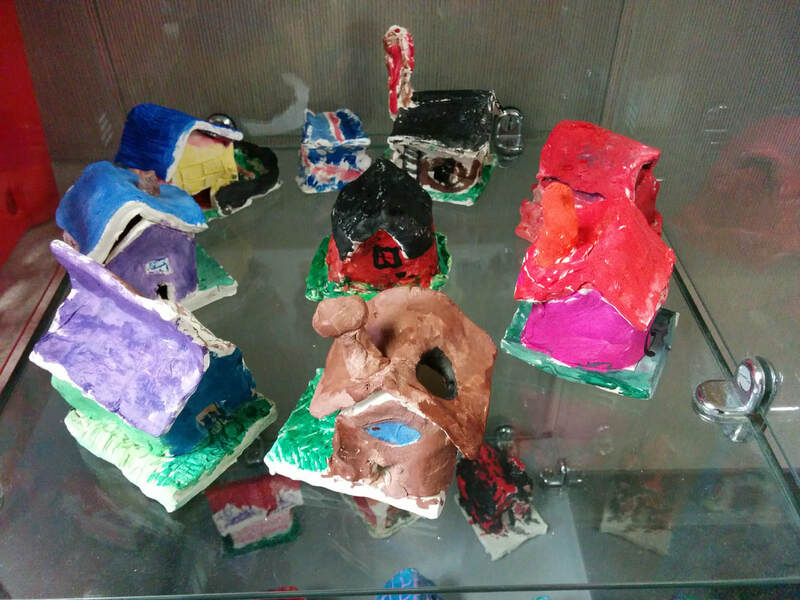 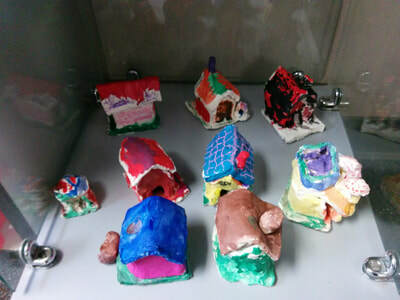 After third graders finished their exploration of map making, city planning and aerial maps they dove into clay making tiny houses of their own. First starting with a paper model, they learned how to construct a 3D object from flat pieces. 3rd grade learners considered the differences between building a paper house and a clay house. Each house was place with care in display cases outside the art room in the main hallway. 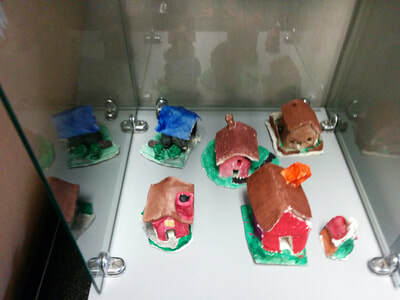 They will be on display through January 2018. 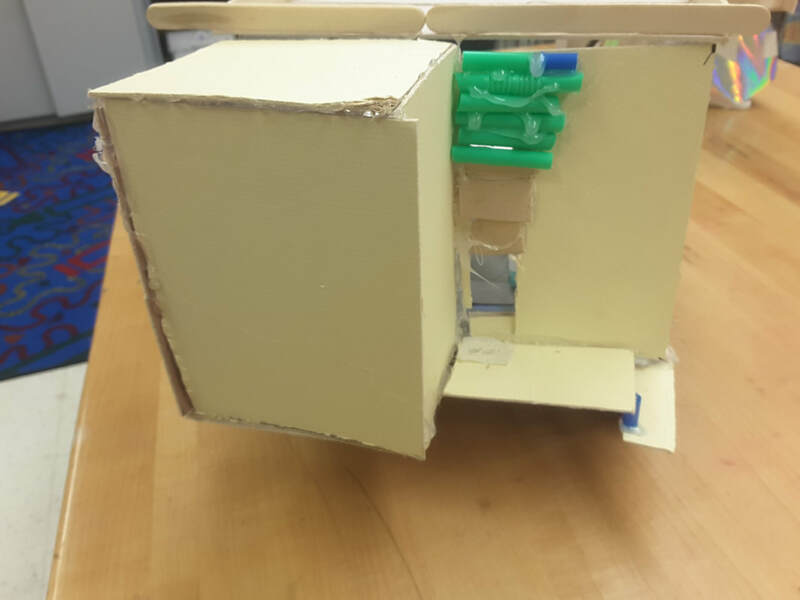 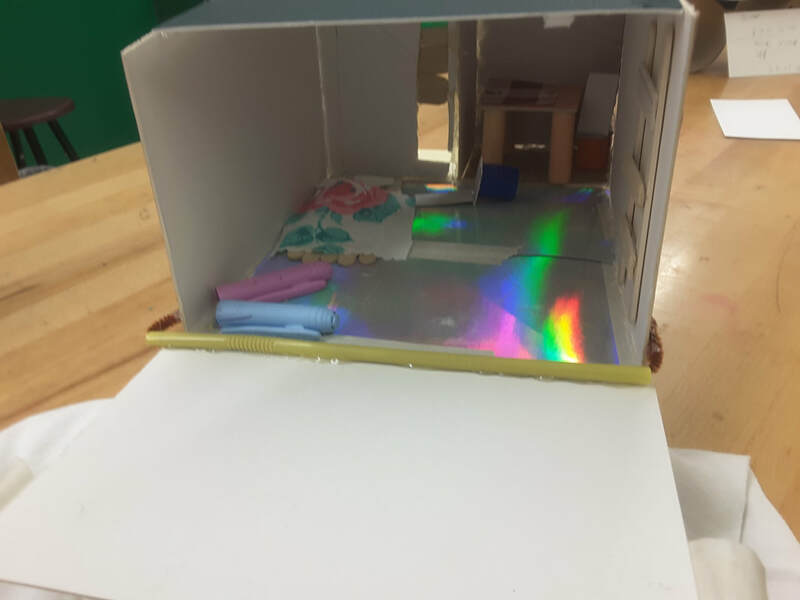 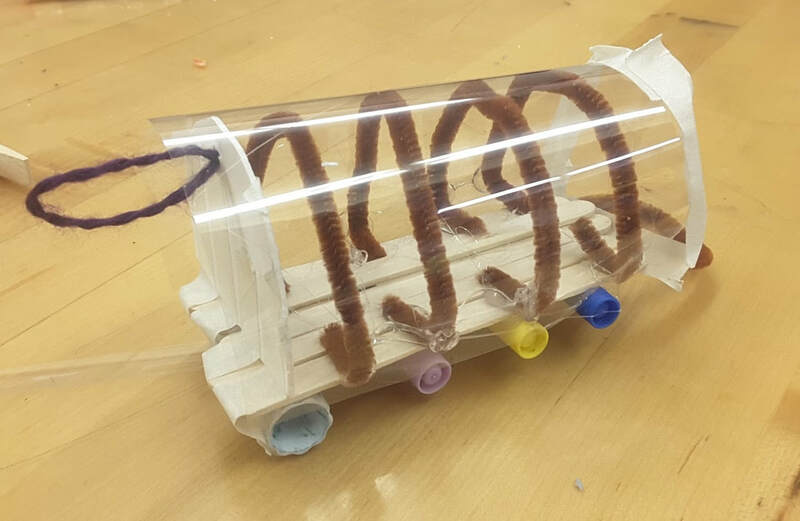 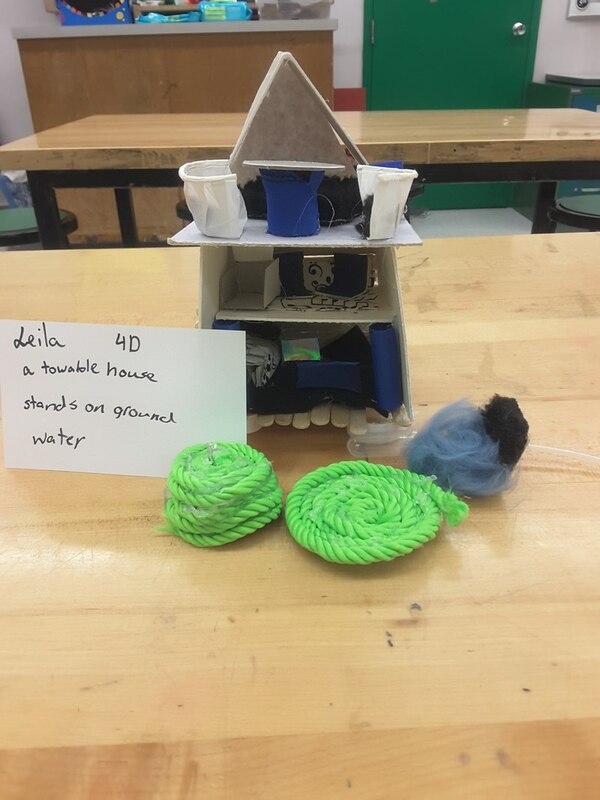 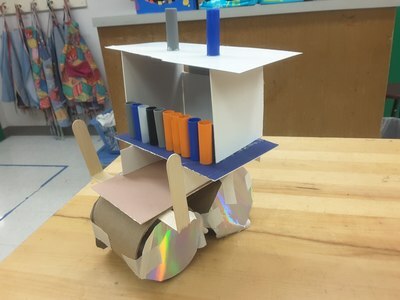 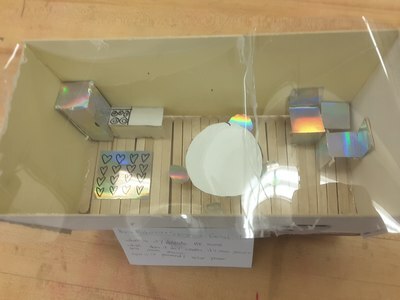 Fourth graders were challenged to build a portable and sustainable home. Building on the knowledge they were developing in their social studies and cultural history lessons they were encouraged to design a portable shelter that could be moved without needing wheels. Some chose to make floating portable homes, there were a few flying shelters and most incorporated solar energy or hydroelectricity. 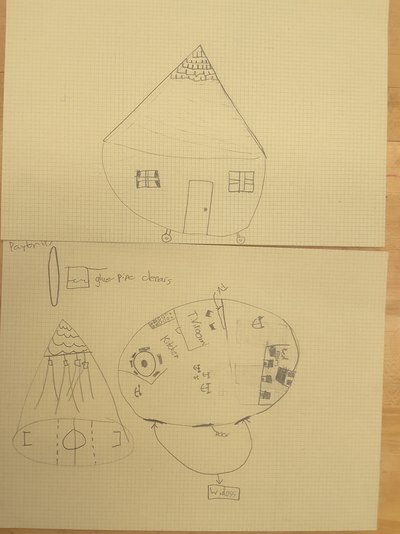 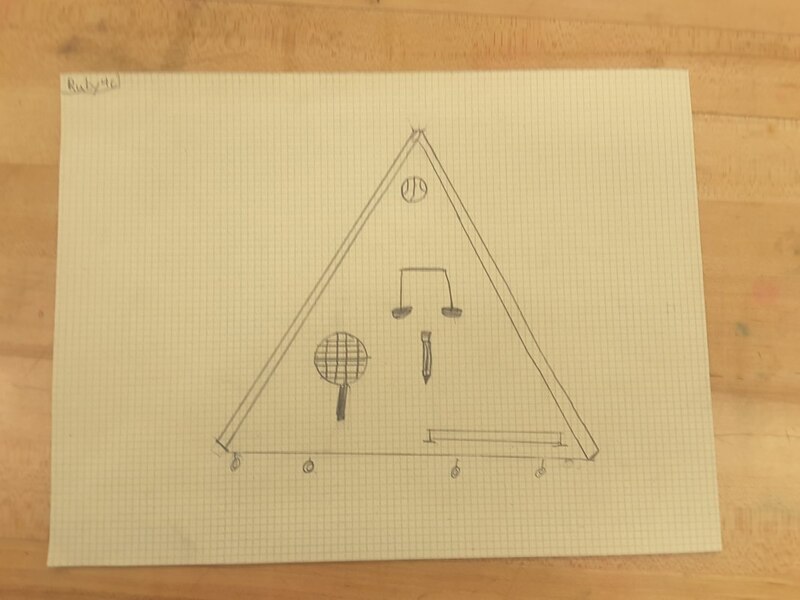 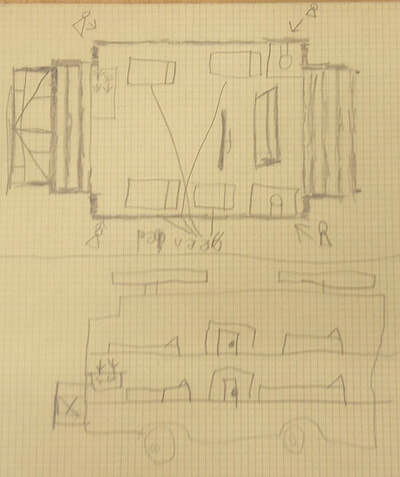 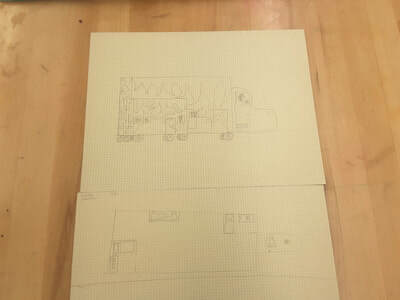 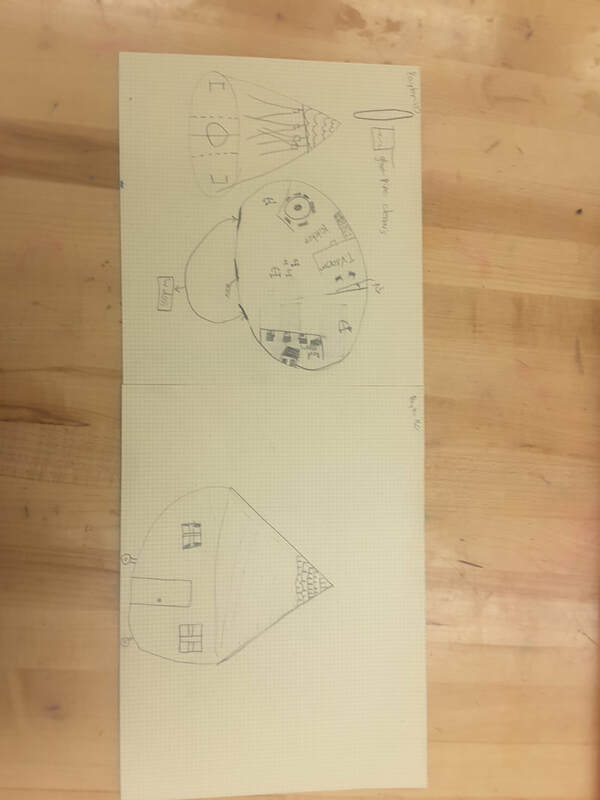 Fourth grade designers first drew up floor plans and elevations to design their portable home. 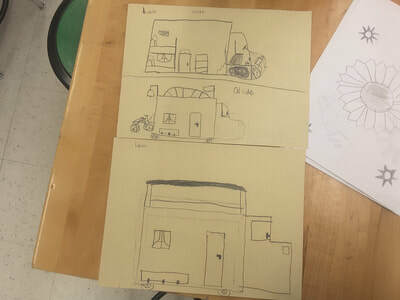 They then considered the types of materials needed to build their model as well as the real deal. They were then given several days and a multitude of different materials to build their designs. 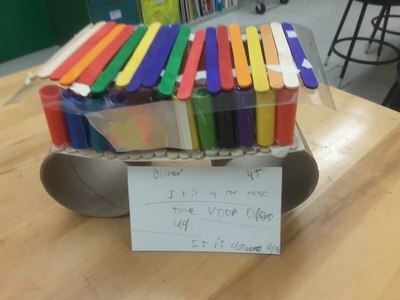 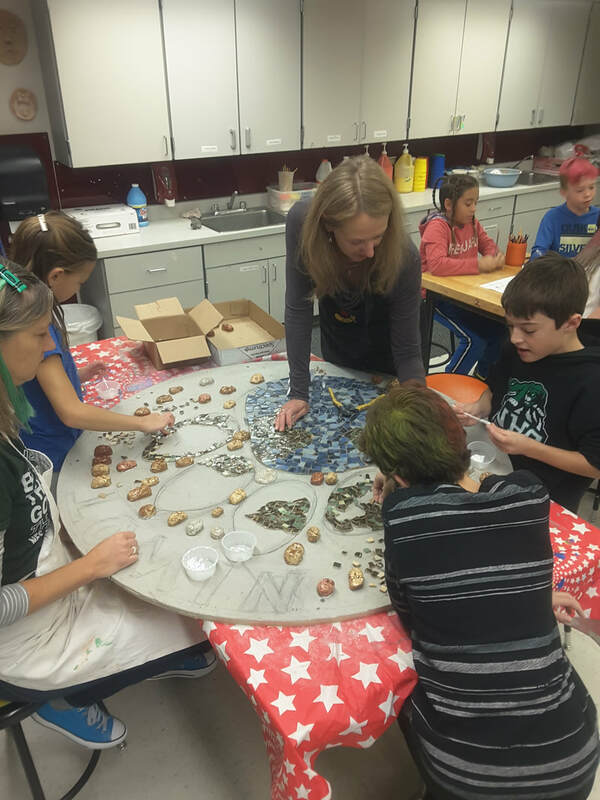 It was a busy time in the art room. 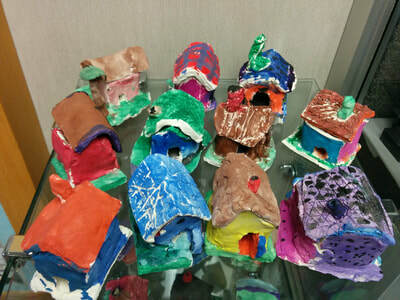 Check out their successes! 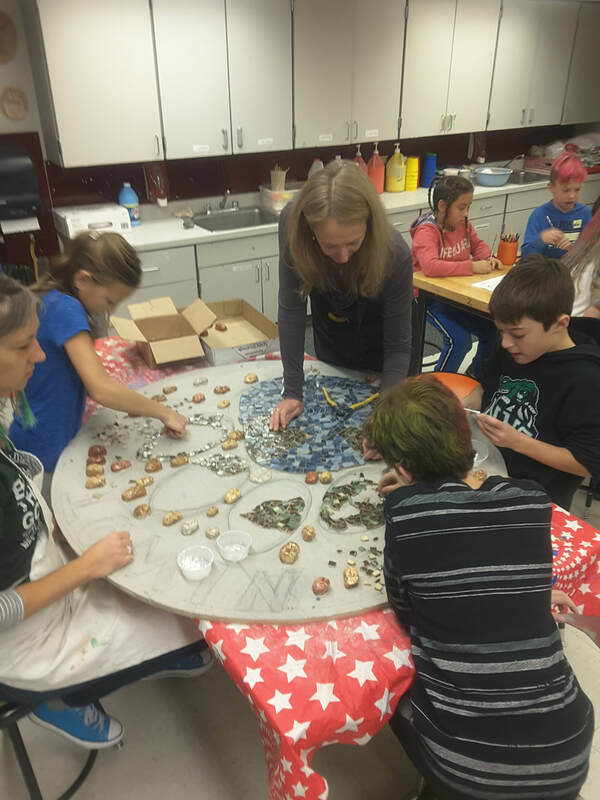 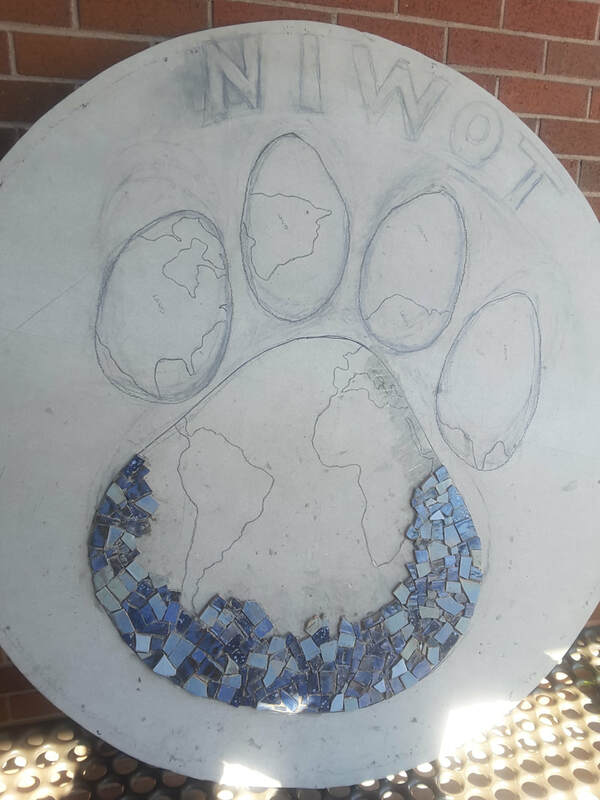 Fifth graders worked with local pottery artist Tina Davis to create a legacy piece that will remain at Niwot elementary and be displayed at the front of the school. Fifth graders explored mosaics from October to December. 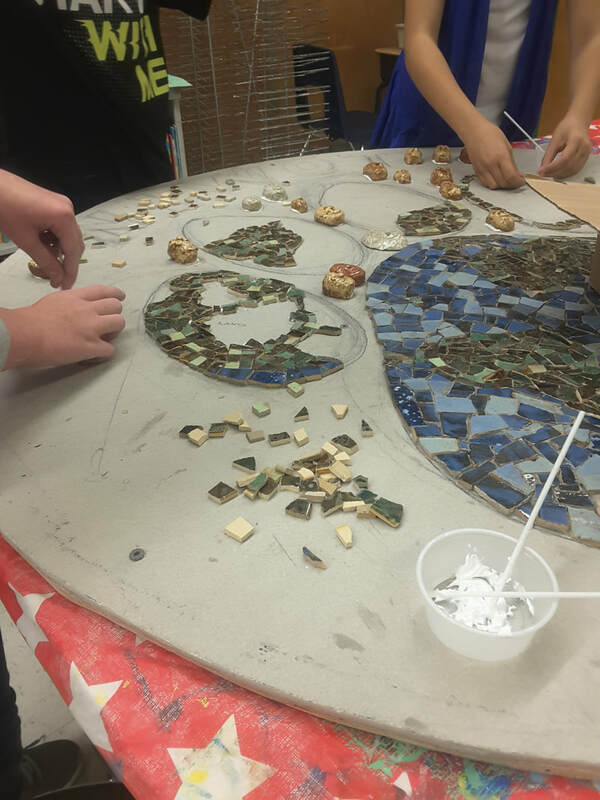 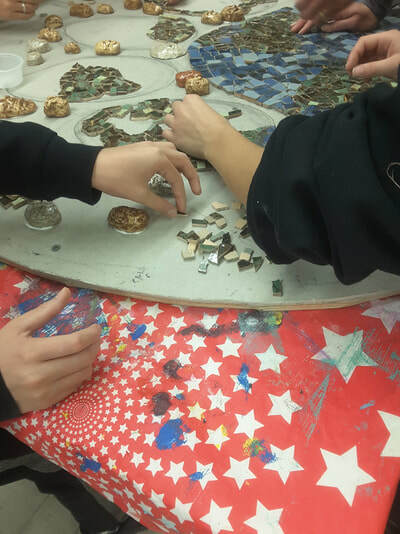 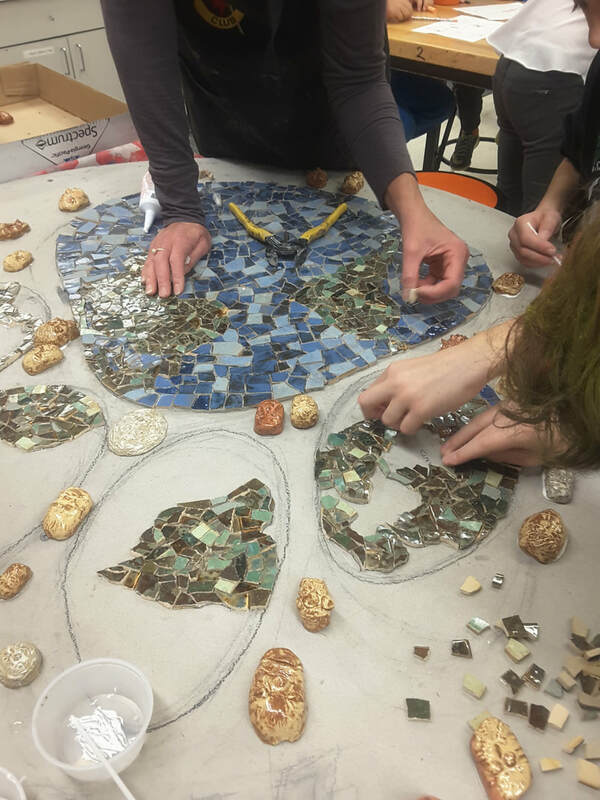 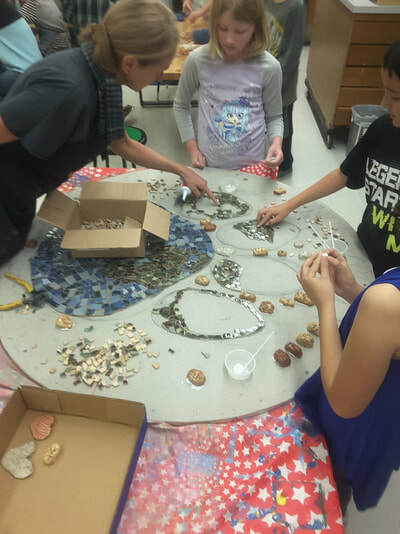 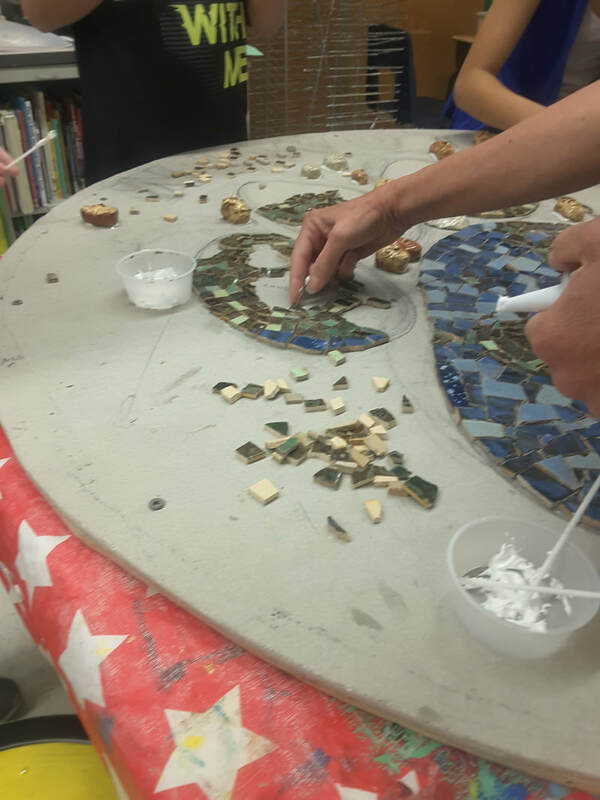 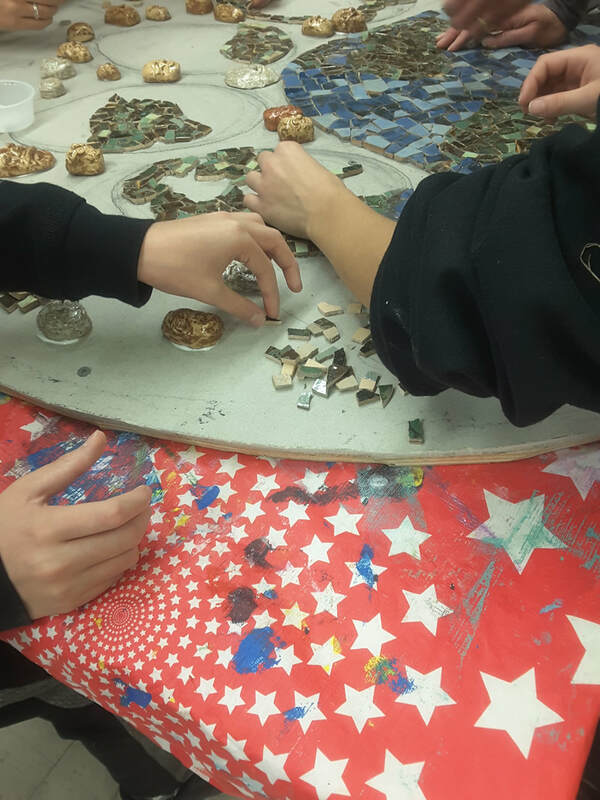 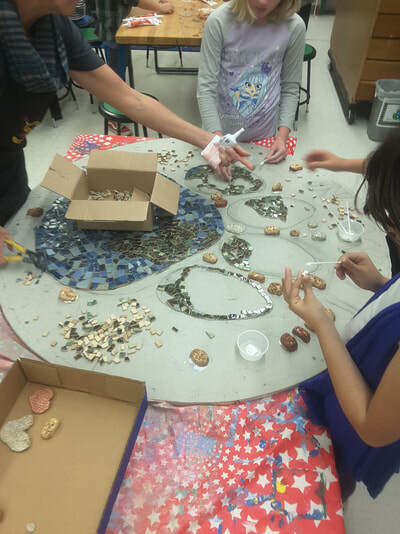 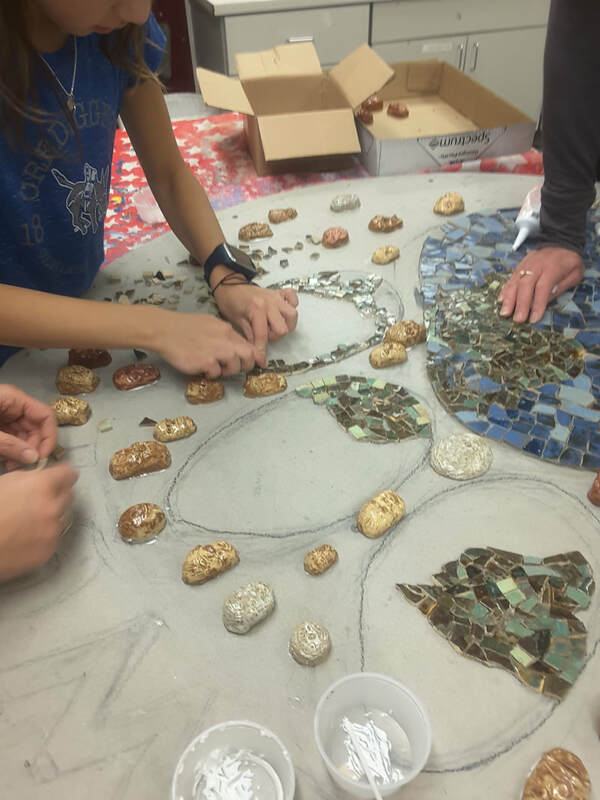 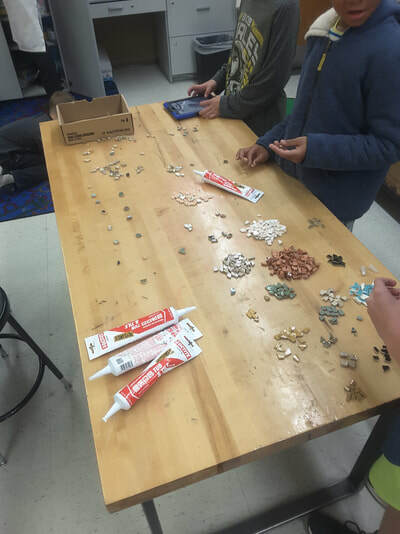 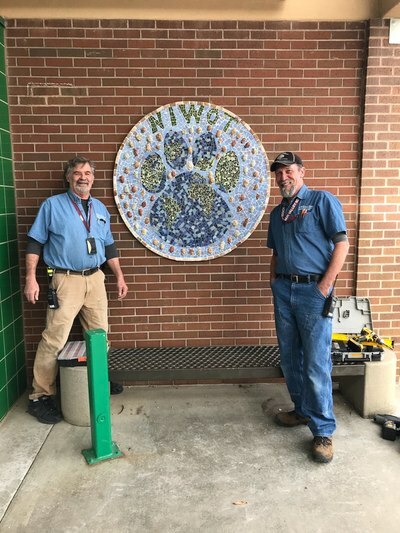 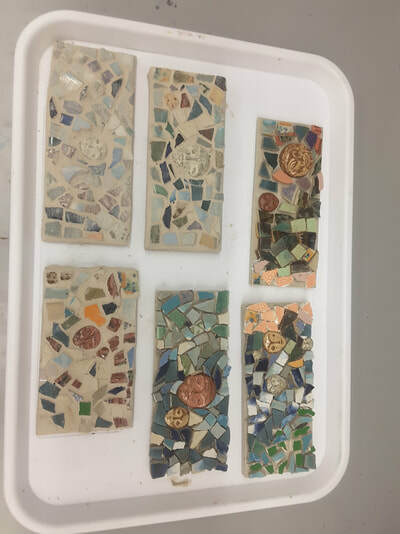 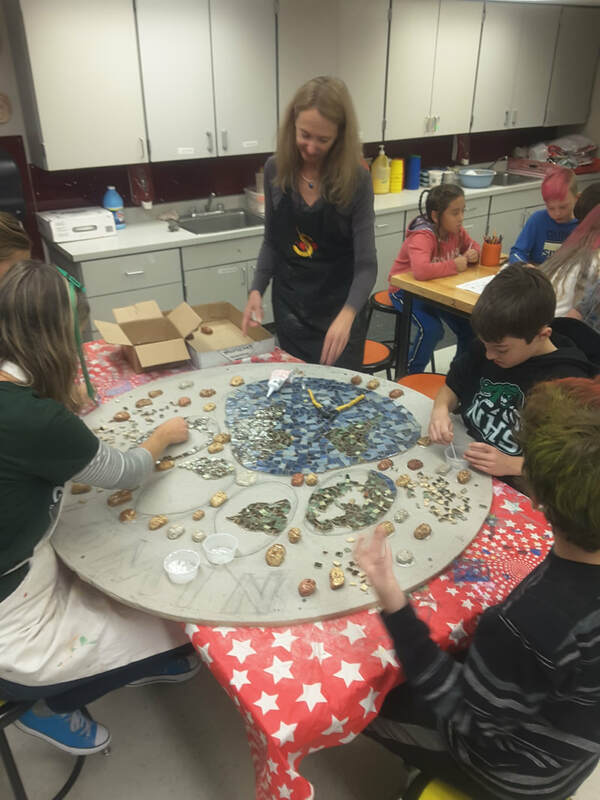 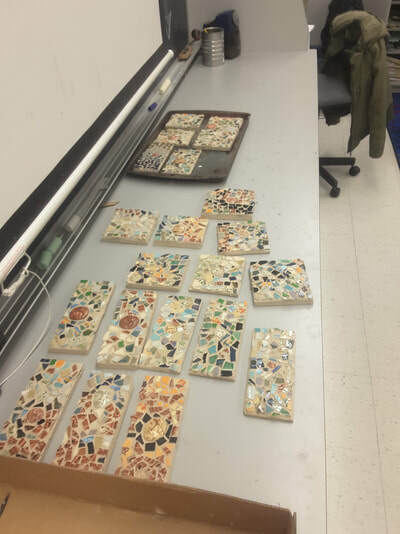 First they created paper mosaics, then clay faces that are incorporated into the large mosaic and small faces from a mold that were incorporated into their personal mosaic tiles that will be taken home in January 2018. 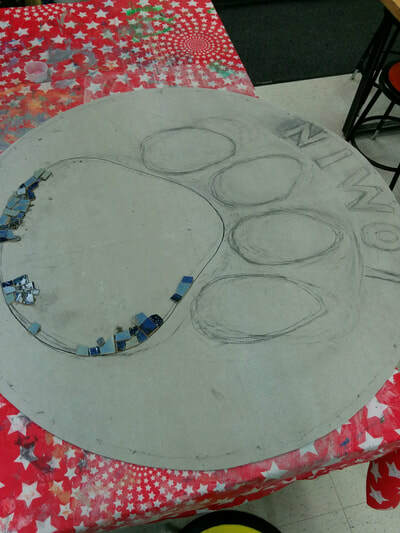 Fifth graders created the design along side Tina Davis and voted on the design that best suited their school. The completed mosaic will be installed soon.